While our overnight lows are still dipping into freezing temperatures, the sunlight hours are beginning to get longer with each passing day. 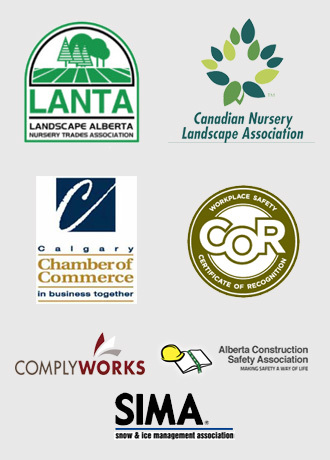 It’s time to start thinking about your spring yard or commercial property clean-up as we make our way through a mild March in Calgary. Even if nothing about this winter goes down in the annals of weather lore in Calgary, even a typical winter here offers up a severe test for your plantings, your decorative and retaining walls, and your lawn. Mirage Landscaping of Calgary has the skill, experience, and manpower necessary to be your one stop shop for all of your spring clean-up and repair needs. If your house or commercial property faces any significant wind, your green spaces will be littered with debris. Whether twigs and branches, leaves blown in, rabbit droppings left behind, what have you, there will be a sizable mess to clean up. Left to its own devices, unwanted organic debris can break down into tannic acid and animal waste into its constituent chemicals, some which may burn newly growing grass. Not only that, but decaying organic matter is a growth medium for fungi, moss, and mildew, all of which can adversely impact the health and appearance of your grass. Decaying plant matter and animal wastes also attracts many types of “pest” insects you will not welcome with open arms come summer. Contact Mirage Landscaping today to get our power rake machines working on your yard or commercial property in Calgary when the time comes to remove organic winter leftovers and that dead grass known as thatch. If you have trees, shrubs, perennials, or want to plant some bright and cheery annuals, we can handle that too. And we also know that winter is difficult on trees, particularly ones that are exposed to full sunlight and then hit repeatedly by many freeze/thaw/freeze cycles. They can develop damage called “sun scald.” We can help mitigate the damage. 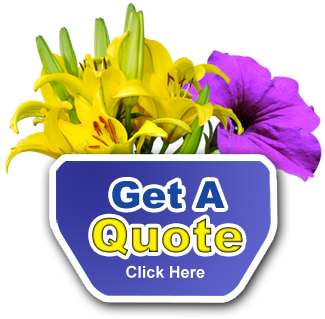 Every situation is unique, so be sure to ask for a free quote. With the rabbit problem we have in some areas of the city as well as deer not respecting many low slung fences or walls, shrubs are particularly vulnerable as an emergency food source for hungry winter nibblers. If your shrubs show signs of snacking, we can prune them back into good health and shape in all but the most severe cases. If a shrub or other close to the ground plant is beyond saving, we also have a tremendous ability to find and install something very similar, or something else exciting and new. Winter can cause concrete to crack. Pavers can heave or depress as the ground changes beneath their load. Melting agents can cause unsightly discolouration too. If your walks or patio have suffered damage, there is no reason that minor repairs cannot be tacked onto your spring clean-up visit. Winter is especially hard on structures retaining a hillside or buried in the ground trying to drain the run-off from a low spot. Every spring, have one of Mirage Landscaping’s trained professionals inspect the physical condition of any retaining wall or drain that is controlling run-off or melt water on your property. If we find a structural defect in your retaining wall or some sort of deficiency in your drainage system, we will clearly illustrate it to you. Begin your Mirage Landscaping experience with a free, no obligation assessment.